Meet Theresa Marie Falvey, owner of State of Grace mind.body.spirit. LLC. Why did you choose our County: I was born and raised in Manitowoc, but have lived in Colorado twice and this last move back, I believe Manitowoc called me back. I had this unshakable feeling to come back and I am a firm believer in listening to your intuition and so I listened. Since being back here 4 years now, I have been on a mission with my business and my positive mindset to create unique experiences to help assist the community in healing and living an empowered life! But I am only one person and believe that it takes the whole community to really help nurture both healing and empowerment! I am and always have been a supporter of working with other business’s and the community in general. What do you love about our county: I have come to truly love the support I have received as a business owner. We really have genuine, fantastic people living here that have a greater vision for Manitowoc and are willing to work together to create something even more wonderful than we already have here! I feel super grateful and blessed to be surrounded by so much support and I am proud to call Manitowoc my hometown. Favorite thing about our area: I am a big nature person! Anytime I can get outside (also along with just living life), makes my heart sing!! I have a kayak called “Big Blue” which I take out on adventures on all of our beautiful lakes even the big “ocean” we have, Lake Michigan. My fat bike, which I call “Mike the Bike”, gets me out on the calming trails we have nearby. We are blessed to have nature right at our fingertips! Meet Lisa Burgarino of Aspire Real Estate Group! Why did you choose our County: I choose Manitowoc County for the quality of life I’ve found here.​ People here are invested in their community. It’s evident in the care they take of their homes, community property such as our parks and beaches, and the educational system within this area. The diversity of schools, public and private, elementary through college offer a quality education that we all benefit from. Our older son went through the public school system and graduated from Lincoln High School. He had an excellent academic and athletic experience that helped prepare him for college and beyond. He graduated college this year and will be Commissioned as a 2nd Lieutenant in the Marine Corps in the coming months. Our younger son is finishing his junior year at Roncalli Catholic High School. He maintains a B average while being involved in community service programs and being a part of the State Division 4 Boys Basketball Championship Team, and the golf team. It takes a village to support our children as they journey through life and all of Manitowoc County’s School Systems do an outstanding job. What do you love about our county: This community supports 25 parks, trails and lake/river accesses that include The Mariners Trail along Lake Michigan, Manitowoc County Youth Baseball Complex, Miracle League of the Lakeshore Baseball Field, Manitowoc Family Aquatic Center, Neshotah Beach, Lincoln Park Zoo, and many others. We are invested in sharing all this community has to offer. Favorite thing about our area: I love the many golf courses in Manitowoc County, 10 to choose from! These beautiful courses are so well maintained, at such reasonable rates, there’s no better way to enjoy a gorgeous day with family or friends. We are fortunate to have all these courses in our area to enjoy the outdoor scenery, while cursing those errant white balls. I love my small home town for a lot of reasons but the one that keeps coming to mind is the family orientated community. We have so many festivals, picnics, parks, and events that are kid friendly. We are a little community with the love and support of big city. My name is Karie Kobel, my husband, Jay, have been foster parents for 20 years. We have had a huge range of children visit our home and a few have stolen our heart and never left. Therefore, we have 11 children both biologic and adopted but only eight remain at home. Everyone in the community has supported our foster care adventure but evermore so: Supported the children with acceptance and guidance. I choose Manitowoc County because I was born and raised here. This is where my roots are. I have many extended family here and enjoy seeing them all on a regular basis and appreciate their knowledge. 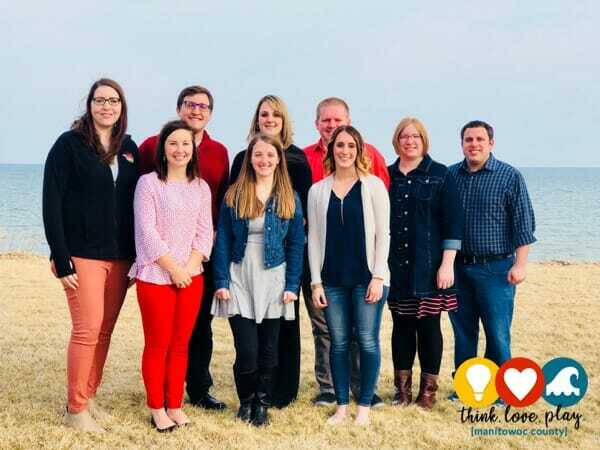 Meet the Young Professional’s of Manitowoc County! 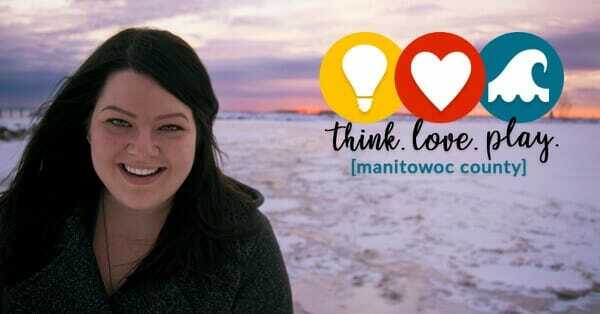 Why do Manitowoc Young Professional’s choose Manitowoc County to live, work and play? Manitowoc County offers many amenities a young professional may need and want in a community to live, work and play! To live in Manitowoc County, the cost of living is very affordable. A very attractive component when one is looking to start a career or family. Manitowoc County is continuing to grow and offer attractive careers for young professionals. Manufacturing and Health Care are huge industry sectors in our area and have been leading our community for many years with new and innovative jobs! The summer waves coming off of Lake Michigan has to be a favorite of Manitowoc County YP’s. It’s simply beautiful and the sunrises are to die for! We also have tons of festivals, especially in the summer. There is always something to do with family and friends! Favorite thing about being a YP in Manitowoc County? Manitowoc YP’s focus on three keywords: Connect, Serve and Grow. 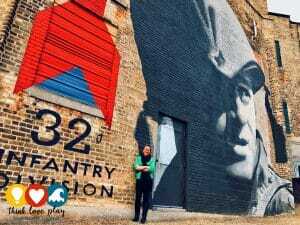 YPWeek – April 21st – April 27th! We invite you to connect, serve and grow with us during #YPWeek (dates April 21st through April 27th!) YPWeek is a weeklong platform for discovery, adventure and meaningful conversations about the issues that matter among young professionals in Wisconsin. This year, with the support of the Wisconsin Economic Development Corporation, YPWeek has expanded to 29 communities, over 60 different organizations, and more than 200 events statewide, all of which leverage the Think-Make- Happen organizing theme. We have a great selection of events for this year’s YPWeek right here in Manitowoc County; don’t be shy we love seeing new faces at our events! Click HERE for event list and registration! Why do you love our area? Manitowoc County lets my family live our American Dream. With generations born and raised in this county and the surrounding area, the Wilfert farm family is homegrown in Manitowoc. In 1977, after my grandfather was diagnosed with a brain tumor, the family’s cows were sold. My father left his marketing career and moved home to raise grain and work in custom farming. Several years later, with the need to diversify in a struggling agricultural economy, Wilfert Farms – the vegetable farm – was born. The community’s love of our strawberries, peas-in-the-pod, and sweet corn (among other things!) has allowed our farm to flourish and grow – giving our family the chance to do the same. Each generation has worked successively to better the next, but we couldn’t do it without the loving support from our customers and the community! 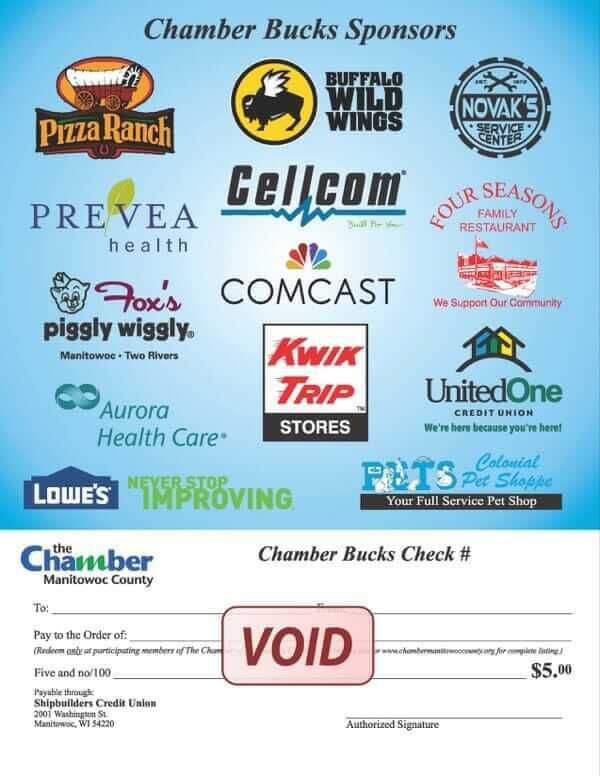 Being a part of a community that supports local family businesses is just one reason why I love Manitowoc County and look forward to returning full time. Positive experience: As a little girl growing up on the farm, I was also instilled with my parents’ entrepreneurial spirit. Our customers supported me every step of the way. From letting me carry their bags to buying my gladiolus, community members encouraged my hard work and often rewarded me with a $1 tip. Those tips were used for three things: (1) saving for college, (2) buying Friday night fish at the old “La Fiesta,” or (3) saving to buy my 4-H project, Kramer. 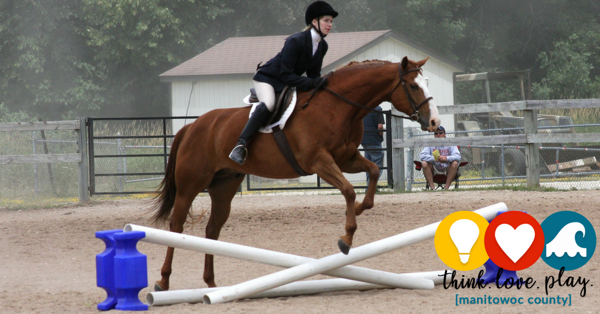 Kramer was an inexperienced four-year-old horse, bought by an inexperienced eleven-year-old girl. Yet, several customers came to cheer us on at our first county fair as we won our first (and only ever) blue ribbon. Kramer and I were the only entrants in the class, but they applauded nonetheless. You see, Kramer was much more than just a horse. He taught me patience, determination, and to always get back on. To many folks, the small tips and money they spent at our farm may have been just another trip to the grocery store, but it helped me accomplish my first big goal. I could not be more grateful to the Manitowoc community that supported a little girl’s dreams by shopping at our local business. Favorite thing about Manitowoc County: Kramer and I enjoy exploring the horse trail at Point Beach State Park, but my favorite part of Manitowoc County is the strong community feel. In high school, a friend once said to me, “It must be awful living here! Everywhere we go – someone knows you.” Today, that’s one of my favorite things. From Mishicot to Meeme, it kept my younger self on my toes and continues to make me feel welcome countywide. It takes a village to raise a child, but those of us in Manitowoc are lucky enough to have a whole county. Meet Kim Geiser! She shares why she loves Manitowoc County as she resides with her family in Cleveland and is a former Downtown Manitowoc business owner! Why do you love our area? Manitowoc County is a great place to raise a family. It is safe, clean and the schools are great. Living in Cleveland is a little different because we are part of the Sheboygan school district, but Wisconsin in general is pretty wonderful. Our nice, quiet lifestyle is perfectly complemented by our cornfield-surrounded home in a small village. The affordability of property is also a huge selling point of this area. We were able to afford our dream home with enough land to have a big garden and space to explore. I travel a lot for my job and in conversations with people all over the country, they are amazed at the real estate price. Positive Experience: As a former business owner in Downtown Manitowoc, I have so many good memories of the community. Art and About was an art group that I co-founded with realtor Jolene Funk early on in my Manitowoc business days. It was a group of local artists that met to talk art and later do events. Our first super successful event was Chairs for Charity that was held at the Rahr-West Art Museum. It was so wonderful to see the community come out and support the cause. Over the years, the event raised thousands of dollars to help aspiring artists through scholarships. Manitowoc is lucky to have a core of really amazing people who work hard to make it a true community. I made some amazing lifelong friends with the projects I was a part of. Favorite thing about Manitowoc County: Definitely the lake. I spend a lot of time beach combing for glass which I turn into jewelry, mosaics and other craft projects. The time by the water is vital to my happiness. Growing up in Manitowoc I kind of took the lake for granted until I moved away for eight years and came back. I started to really appreciate it’s ever-changing beauty and calming effects. Now when I travel around the country I realize how very lucky we are to live near this amazing body of water. Manitowoc County Historical Society is a very important part of preserving Manitowoc County History. 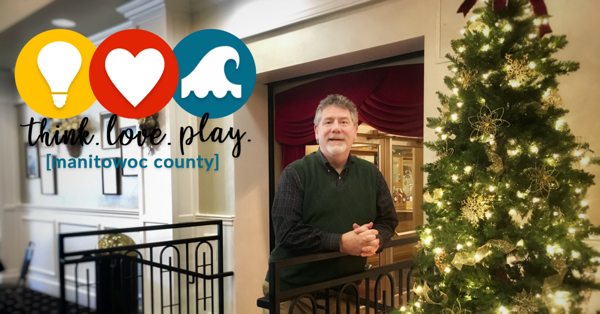 Learn more about the MCHS and their #thinkloveplay story! Why does MCHS love Manitowoc County: Since 1906, our Manitowoc County Historical Society has been committed to preserving the stories of our treasured past. 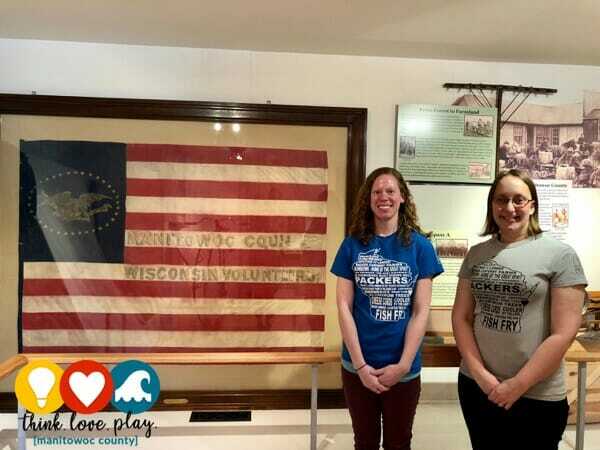 What makes our Manitowoc County Historical Society unique is that the organization is funded by our community of supporters. Since its founding, the Society has operated as a privately funded 501 (c) (3) educational organization. The organization does not receive any funding from the state, county, or city. Instead, MCHS is a direct reflection of our community’s membership, admission, and donated support. Positive Experience: A great strength of our community is the dedicated spirit of our volunteers. In 2017, historical society volunteers contributed over 8,000 hours of service. That is equivalent to an additional 4 full time staff members. Favorite thing about our area: The programs offered at the Manitowoc County Historical Society create lasting memories for both the volunteers and visitors. Each year, over 3,000 school-age youth join us in experiencing the stories of our past. One of our experiences takes our students back in time to learn about the life of a Civil War Soldier. Last year, following this day long Civil War experience, a group of students came up to our volunteer reenactor with hugs and high-fives to show their appreciation for a day full of adventure, discovery, and a battle reenactment. The hard work of our volunteer guided an experience the students will not forget. Manitowoc County is rich in history. From Native American roots to today’s industry, together we are able to use the stories of the past to create paths for our future. Meet Megean Lauson, owner of Modern by Megean Contemporary Jewelry! 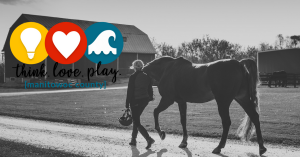 Learn her #thinkloveplay story! Why do you love Manitowoc County: I love Manitowoc County for so many reasons. I enjoy the uniqueness this town provides. With so many locally owned and small businesses in Manitowoc it feels different from other places. Manitowoc is home and has a strong sense of community. The overall feeling of safety and support is wonderful. Positive experience: As a local business owner I’ve had a privilege of touching so many people’s lives. 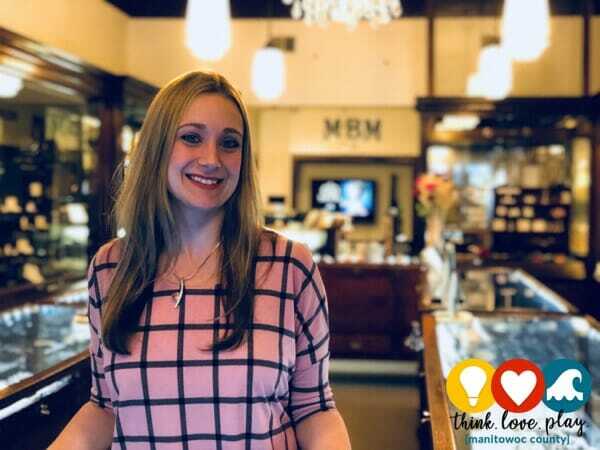 One experience that really stands out for me was when we hosted an event at Modern by Megean Contemporary Jewelry for the domestic violence center. The support from the community was overwhelming. We were able to raise money and collect items that were needed at the center. It’s times like this that really make me proud to be part of this community. Favorite thing about our area: I can’t name just one favorite characteristic about Manitowoc County because there are so many. The historical downtown is at the top of the list. I have my small business located in the heart of historical downtown and wouldn’t have it any other way. Looking around the buildings are so unique, have character, aren’t cookie cutter and the scenery is breathtaking. With Lake Michigan as our “backyard” and our quiet beaches, it gives you an appreciation for the simple things: small town living. Meet the Lakeshore Wind Ensemble! 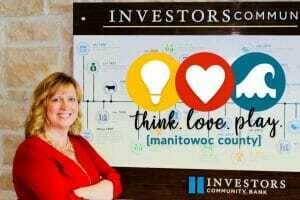 Why does your organization love Manitowoc County? : Bringing music to Manitowoc County and the lakeshore for the last 34 years has been a both gratifying and pure enjoyment for the members of the UW-Manitowoc Lakeshore Wind Ensemble. Manitowoc County is filled with amazing and talented musicians of all ages. We have members that have played with the wind ensemble since its inception in 1987 and numerous students have “come home” to the wind ensemble after completing their degrees at a four-year university. We love how the Manitowoc community supports music on the lakeshore – Music Unites Us! Positive experience: Lakeshore Wind Ensemble Association promotes young adult musicians in various ways. Each year we present cash awards to recognize excellence in music performance to UW-Manitowoc students that are members of Lakeshore Wind Ensemble. The Arendt Family UW-Manitowoc Foundation LWEA Talentship was established in 1988 and has since presented 147 awards. Favorite thing about Manitowoc County: Manitowoc has so many opportunities for musicians both young and old. Whether you are a professional musician, music educator, student or community member who enjoys playing; the lakeshore has several performance groups that allow all musical abilities to play and learn together. The Lakeshore Wind Ensemble Association has honored many of the musicians that have performed in these groups. The Wesley Teply Community Service Award in the Arts was established in 1999 and is presented at the Lakeshore Wind Ensemble March concert. This award serves to recognize people who substantially contribute to the arts in the greater Manitowoc area. 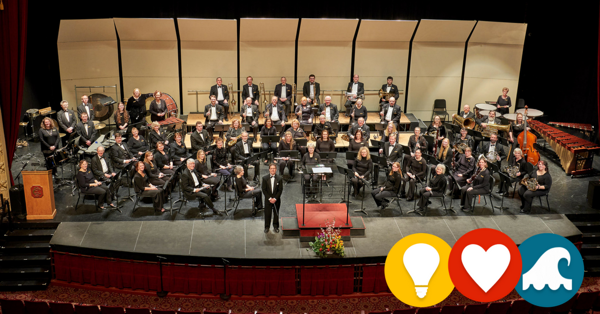 Lakeshore Wind Ensemble has been providing musical experiences on the Lakeshore since 1987. The ensemble presents six concerts each year in October, December, January, March and May at the Capitol Civic Center and a free concert in July at the Two Rivers Central Park Bandshell. Lakeshore Big Band presents three concerts each year in November, January and April. For more information visit www.LakeshoreWindEnsmble.org. Like us on FB (Lakeshore Wind Ensemble). Meet Jill Yindra! 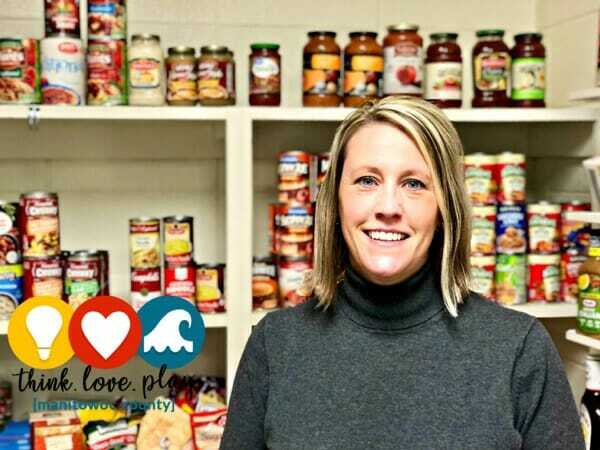 Seeing a need in the Mishicot School District, Jill started the Mishicot School District Food Pantry…. Why do you love our County: I love Manitowoc Country for many reasons. I work here, my family is from here, the beautiful lakeshore, my children attend school here and I can’t think of a better place to raise my children. My passion in life is to volunteer and help others. This community affords me so many opportunities to do what I love. Positive Experience: About three years ago I sat back and thought about what I could do to help our school and the families that need an extra boost. Families that have fallen on hard times, lost their jobs, etc. Right now our Elementary School has over 70+ families that need an extra boost. Everyone knows food is critical to sustaining life. Why not make a food pantry. Sounded novel to me. I immediately did some brainstorming, research and contacted Eric Nelson, our principal and Zach Sand, a second grade teacher and Head of our Snack Pack Program at school. All I needed from them was the green flag and for them to back me on my idea. I assured them this would be no cost to the school, it will serve itself, and they needed to find me a room for the pantry. A small plan, eagerness for success we now have a pantry that has been servicing our school district since December of 2015. Our school pantry is currently open once a month for two hours. This pantry services all families who need it and attend either the Elementary, Middle or High School. The pantry is not income based. It’s simply there for those who need it. We all know, hard times don’t discriminate and can happen to anyone. I can personally tell you, families who attend the Mishicot School District are blessed. This community/county may be small, but they are strong. There is never a need or want that isn’t fulfilled. Favorite thing about our area: I love the small town feeling. Raising my children with the childhood I had. Playing with the neighbor kids until the street lights come on, feeling safe letting them bike, fish and walk though the village. Letting them attend, “in my humble opinion” one of the best schools around. Coaching my son’s fifth grade basketball team and having the sense of family with these boys and parents. Having fire trucks, parades, bands lining main street to support your high school sporting event successes. I truly feel this is an area where: neighbors, parents, teachers etc., all have a vested interest in raising children to be the best they can be. 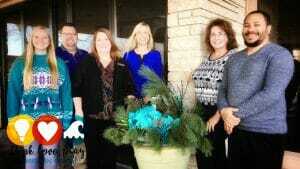 Why does BBBS Manitowoc love our area: The people. Our organization works for our local youth by providing them with positive role models who make a huge impact on their lives. This is all made possible by the parents, the adult volunteers, our staff and our donors all working together to provide an avenue to help change the child’s live for the better. In 2018, BBBS is celebrating 50 years in Manitowoc County. The support this community has had for our organization and the commitment they have made to our youth, has made it easy to love Manitowoc County. ​Melika and I have been matched since June 2017. In that short amount of time we’ve known each other, we have done so many cool things together! In the summer we went to the beach and built sand castles, rode bikes around the park, swang on the swings (My idea because I’m a kid at heart), went to the local zoo a few times, mini-golfed, had a picnic and many other fun things. This fall I had to move away for college and sadly that meant Melika and I have less time to spend together. However we still hangout as often as possible, and make the most of our time. One way we learned to overcome this obstacle is by keeping in touch through snapchat! One of my favorite things we did was going to a corn maze. It was super fun trying to get through the maze together, and even though we were aimlessly lost and desperately wanted to cut through the corn, we both worked through it…together! The funny part was that it started down pouring on us, so we were just slipping through the mud, laughing and enjoying the time we had. We also had water duck races, ran on top of hail bails, rolled around in large barrels, and left with some pumpkins. Melika and I definitely share the same passion for eating ice cream and loving animals! It’s a great feeling knowing we can both do things we enjoy together, and listen to each others fun stories. My favorite part of being a big sister is creating a bond like no other. I have the chance to help Melika discover her passions and hidden talents. It’s a rewarding feeling to watch her grow as a person by small things such as opening up and singing in front of me to her learning morals such as right vs. wrong. I like being a big sister because I feel like I am making a positive influence in her life which makes me very excited to see her bright future. I am proud to be a big sister. I am beyond happy that I joined Big Brothers Big Sisters! Favorite thing about Manitowoc County: Many of our events and fundraisers allow us to take advantage of the recreational opportunities available throughout the county; The Sleigh Bell Run in Kiel (for those brave enough to run in December), The Fish Derby-where local charters take many of our Littles out fishing on Lake Michigan, Golf Fore Kids allows us to take advantage of the local golf courses and those events aren’t even including the great outdoors opportunities available for our Bigs and Littles to take advantage of. But what really stands out to us is the small quaint community. BBBS has been a part of Manitowoc County for 50 years and the support from local clubs, foundations, companies and people have really made a County of 80,000 people feel more like a small group of community partners sharing in our vision of helping all children succeed in life. There are several events throughout the year, including Bowl For Kids Sake- coming up at Rudy’s Lanes in Two Rivers March 2, 3, 9, and 10th. It is a fun event that follows a different theme each year. This year’s theme is “Made in Wisconsin”, a great way for people to be creative and show off what makes them proud about being from Wisconsin. BBBS is still taking lane reservations, and if you aren’t a bowler, come down, relax and check out the silent auction. Other events to look forward to: Cards For Kids-Sheepshead Tournament taking place at the Holiday Inn on April 14th, Golf Fore Kids on August 14th at both Autumn Ridge Golf Course and The Golf Course at Branch River and the Sleigh Bell Run taking place in Kiel the first weekend of December. This week is a MUST READ, Meet Jill Meyer-Lippert, owner of Side Effect Support LLC. Learn how her business helps prevent and manage oral side effects from cancer treatments…truly a heartwarming story right here in Manitowoc County! 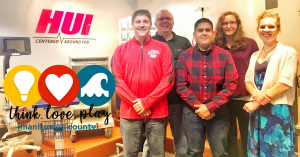 Why do you love Manitowoc County: The communities throughout Manitowoc County encompass the image and values of small town America: generous, friendly and eager to help those in need. Growing up in the Valders area, I was surrounded with examples of volunteering and a duty to be involved in the community. Positive Experience: I enjoy the opportunities to continue volunteering in our community as part of Side Effect Support by offering education for the local Livestrong Program and other cancer support groups and helping with local cancer-related fundraisers. I am also able to continue periodically providing oral care kits to the VLCC with the help and generous spirit of local businesses and individuals who sponsor the kits. It is heartwarming to see how appreciated the kits are and to help others at the same clinic where so many of my family members received such compassionate care. Favorite things about our area: I love the lakeshore and take full advantage of biking and running on Mariner’s trail or yoga classes on the beach. There are also so many great opportunities to explore the beauty of our county with hiking and kayaking. 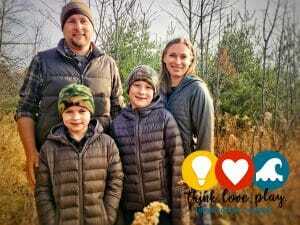 Meet the Bruckschen Family (Jesse, Megan, Cameron & Aubrey)! Why does your family love our County: I grew up in the smaller town of Suffield, Ohio and Jesse grew up in Mishicot. When he and I were deciding where to purchase a house and put down our roots we decided on Manitowoc. Originally, it was a mid-point between his job in Kohler and my school in Green Bay and there was post-college opportunity in multiple directions of the city. We couldn’t have made a better decision in choosing a place where we are raising our children, Cameron & Aubrey. Manitowoc offers a safe, fun-filled, family-friendly lifestyle. As a family, we find joy in some of the simplest things our community has to offer like a bike ride on the Mariner’s Trail, a walk through the Lincoln Park Zoo, the sound of the SS Badger horn in the summer, sledding at Washington Junior High or a day at Neshotah Beach. Jesse and I both also feel strongly that our children who are enrolled in the Manitowoc Public School District are receiving a quality educational experience with some of the best teachers in the state. Positive experience: After an unexpected job position elimination this past September, I was forced to look for new employment. I preferred to stay in Manitowoc, as I love being part of the community and wanted to be nearby my children since my husband commutes daily to Kohler. I am continually gracious for the outpouring of support from local business leaders and owners who reached out to me during my transition, sending me job leads and offered to be a reference. I am now excitedly helping to promote the “coast” as the Sales Associate at the Manitowoc Area Visitor & Convention Bureau! Favorite thing about Manitowoc: As a family we love starting our Saturday mornings with breakfast and coffee at the Farmer’s Market in Downtown Manitowoc. Typically after breakfast we will take a walk along the river and do a visual check on water conditions on the Lake. If all looks well and the weather forecast matches up with our visual check we will launch our boat at the Manitowoc Marina and go out for a different view of the coast. The kids love when we pull by the shore and they can splash around and look for rocks. All of this is only minutes away from our home! Meet Shane Henderson, President of Metal Art of Wisconsin! Learn more about why he and his family love Manitowoc! He also shares how he started his business, Metal Art of Wisconsin, in his garage that pretty much went viral via social media…success that happened because of the help and support in the community! Why do love Manitowoc County: My family loves living in Wisconsin and loves living in Manitowoc. Not too big….not too small. Low crime, no gangs and plenty of constructive things to do for children and teens. It’s a nice community and a good place to raise a family. Positive Experience: I have built a successful business that started in my garage. It would not be a success without the help and support of many in our community. Metal Art of Wisconsin was started 4 years ago in my garage with my son Justis, wife Tammy and my iphone. Our patriotic metal art was a social media phenomenon and exploded overnight. Fast forward 4 years and you have the most famous metal art company in the world. We have the largest metal art Instagram page on the planet with nearly 200,000 loyal fans, followers and customers. Our art hangs on the walls of celebrities houses, politicians offices, banks, churches and patriotic homes all over the world. 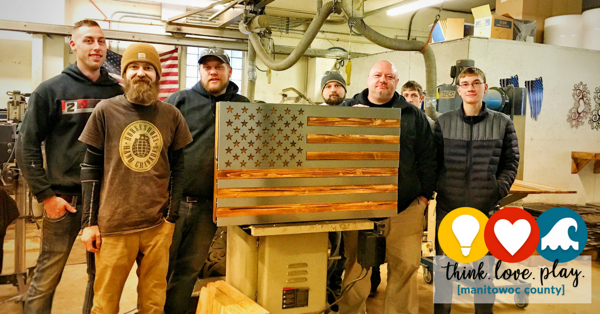 Our flags are featured on every episode of Flip or Flop on HDTV with several other TV deals in the works. 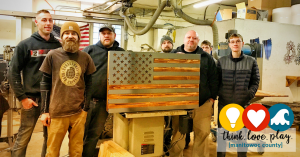 We are on TV or in the news all over the country constantly due to our “Flags for Fortitude” program where we donate flags and metal art to policeman, fireman, service members and wounded warriors almost on a daily basis. We are extremely grateful to all of our employees, people around town and so many companies that have helped us manage this uncontrollable growth. Our brand went viral and it is not slowing down. Meet the Kaleidoscope Dance Studio! In the past four years, Kaleidoscope Dance Studio has donated more than $30,000 back to organizations in the county! Learn their #ThinkLovePlay story and why they give back to the community! Why does your business love Manitowoc County: Being a part of Manitowoc for the last 17 years has been very rewarding. 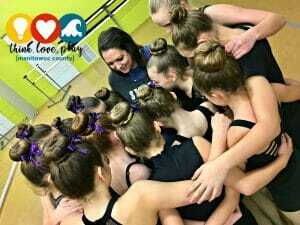 Manitowoc County is filled with such wonderful, generous and thoughtful people with amazingly talented dancers! My business has grown and matured with the help and support of all the people that surround the studio. It is a great community! Positive experience: This past December we held our 4th annual Tis the Season Christmas Show. Every year we pick an organization within the county to donate all the proceeds to. In the past 4 years, we have donated almost $30,000. December 2017 we donated $8,652 to the Hope House. Putting together the show is hard work for our staff and dancers, we work on it for several months, however, the most important thing is the outcome and how rewarding it is. For these girls and young woman to be apart of something this big really shows them the importance of giving back to the community and this will hopefully be instilled in them throughout their lives and they will continue to be leaders in any community, they choose to spend their lives in. I am so grateful we are able to do something good for those in need. Favorite thing about Manitowoc County: Manitowoc has a lot to offer for young children and adults. Arts are very important. Learning the discipline of dance is great for any child. Dance has shaped the person I am today and I know many of my dancers are forever grateful and changed because of dance. Manitowoc is lucky to have 4 dance studios where families can be involved in various community events. Dance gives you confidence and the tools to become successful adults. There are so many other great organizations you may be a part of in Manitowoc that give you performance opportunities whether it be a small stage or the Capitol Civic Center. Meet Laura Wiegert, SVP Marketing from Investors Community Bank! Very involved in the community, Laura shares why she loves Manitowoc County! Laura also helped launch the #ThinkLovePlay campaign! Why do I love Manitowoc County? It was a job move that first brought me to Manitowoc County in 1991. At the time I thought it would be a blip on the radar; a pit stop in my life journey, but 27 years later here I am! And I wouldn’t change a thing. I love the professional opportunities I have had in this community. Not only do I have a wonderful job at an amazing company, I have had numerous opportunities to get involved in business, nonprofit and networking groups. From volunteering with the Chamber, Progress Lakeshore and other nonprofits to helping launch the #ThinkLovePlay initiative, this meaningful volunteerism has provided a fulfilling aspect to my career that I am not sure I would have gotten in larger communities. I am able to network with individuals from other companies at all levels, from the CEO on down. And I am able to be part of vibrant business circles that have helped me grow personally and professionally. I love being able to work, share and volunteer in this community… and feel like I am making a difference. Positive experience: Manitowoc County is a very supportive and close knit community. I’m proud to work for an organization that recognizes that and gives back to the area. One amazing example is the bank’s Community Impact Program, which allows every bank employee to annually designate $200 to the charity of his or her choice. In 2017, this resulted in $24,300 being donated in total, including Manitowoc area charities such as The Haven, Holiday House, Big Brothers Big Sisters, Lakeshore Humane Society, and more. I’m honored to say that giving and community support are at the heart of who Investors Community Bank is as an organization. The bank also provides corporate support to local nonprofits such as the Capitol Civic Centre, Manitowoc Youth Baseball, local schools and colleges, and many other nonprofits that help our county grow, thrive and succeed. Favorite things about our area: I appreciate the small town feel of Manitowoc County. I love being able to go out in the community and always run into someone I know, whether it’s at a restaurant, festival, or concert at the Capitol Civic Centre. My roots are in Upper Michigan and this area reminds me of that ….A close knit community; a sense of family and neighbors helping neighbors. The Manitowoc Public Library is a forefront of the County! Having over 200,000 people walk through the MPL doors, the library is a huge resource for many residents and visitors. 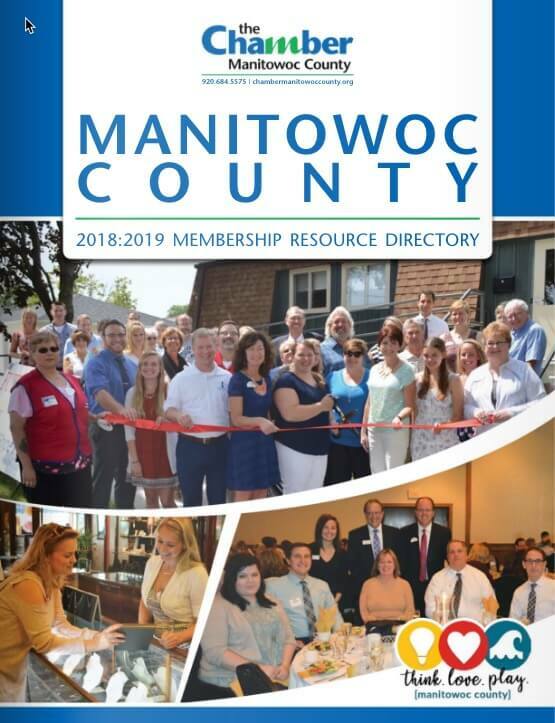 Why do we Love Manitowoc County: Manitowoc County is such a unique and special place filled with caring individuals who truly have the community’s best interests at heart. Manitowoc Public Library is continually impressed by the support we receive from our community. It’s easy to see that Manitowoc values MPL, from the usage of our daily services and physical resources, to the enthusiastic attendance at our programming and events. On average, we have over 200,000 people walk through our doors on an annual basis! This doesn’t even take all of the additional online usage and outreach efforts into account. In addition, the community always shows up to back our fundraising efforts and is completely supportive of the new ideas we try at MPL. Finally, who wouldn’t love the beautiful scenery Manitowoc County has to offer? We have a beautiful lakeshore and MPL is fortunate to have great views of both the Manitowoc River and Lake Michigan. This incredible natural asset affords us an incredible array of outdoor activities—great hiking, phenomenal biking, wonderful beaches, and, of course, our car ferry, the Badger. As a community, we must continue to strive to create an awareness of these great attributes for visitors to the lakeshore and for one another, as well. We have so much to offer—as a community and an institution—and we’re proud to be part of Manitowoc County. 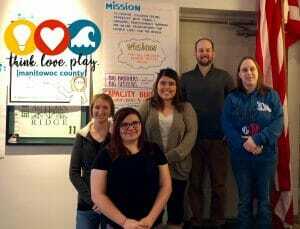 Manitowoc County Positive Experience: A few months ago, an MPL staff member shared this story with me and it instantly became one of my favorites. It truly highlights our wonderful community and all it has to offer. It tells the story of a man who lived in Upper Michigan that tragically lost his wife approximately six months ago. After a few months, he realized that he could no longer live in his current town of residence. It had become unbearable. Every time he stepped outside, someone asked him “How are you doing?” And there were simply too many reminders of his wife. So, he got in his car, and he started to drive. While driving south on I-43, he started to see signs for Manitowoc. While he had never heard of the city, he thought to himself “What the heck!” and pulled off at the Manitowoc exit. Driving around town, he decided that it looked pretty nice, so he decided to stay for a few days. During that stay, he frequently stopped in at the library. He loved that he could use the internet for free and stay connected with family. On one of these visits, he saw the flyer for a grief share program at Hope Church. He was still grieving for his wife, so he thought this might be a good opportunity for him to connect and decided to check it out. He became a regular at the grief share meetings and credits the library for helping connect him to this resource. As a result of these meetings and the friendly service he received at the library, this man decided to permanently relocate to Manitowoc. One of the reasons he decided to stay indefinitely in Manitowoc was MPL! We couldn’t be more proud. It’s hard to pinpoint a single characteristic which we love about this community. As I mentioned above, there is so much Manitowoc County has to offer. MPL serves the role of providing educational resources to every demographic in our community regardless of age or background to meet their educational, recreational or cultural needs. As a result, MPL has the opportunity to connect with our residents and organizations in so many different ways. One characteristic which surfaces all the time is the community’s willingness to help and support our local non-profits. Our community is proud of these organizations, including MPL, YMCA, Big Brothers Big Sisters, The Haven, and so many more. There is also a positive attitude towards collaboration in serving the greater needs of our community. This positive attitude and focus on collaboration is beneficial for all concerned parties: our organizations and ultimately, our community. We are proud to be part of this collaborative network. We are excited about this Think. Love. Play. initiative in Manitowoc County. What a great opportunity to share all that Manitowoc has to offer to our residents and visitors. MPL is proud to be part of this. 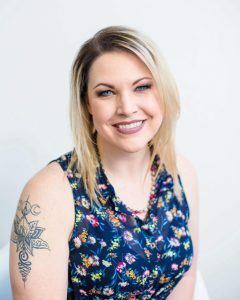 Meet Michelle Kaczmarowski! (Owner/photographer at MK Photography and team member at Schenck)! Learn why she think’s, love’s and play’s in Manitowoc County…Read about her awesome neighbor and what he has done for their street! Question: Why does your family, business or you love Manitowoc County? I was born and raised a Yooper, so I am a transplant. I grew up in Marquette, MI on the shores of Lake Superior which means I was very spoiled as far as scenery is concerned. From the time I was young I knew I would never feel “at home” unless I was near a lake so I love that Manitowoc County is right on the lakeshore! From the beautiful sunrises to the beach-side concerts and festivals, there are always incredible opportunities to create beautiful photos and enjoy making memories with friends and family. Question: Please share a (specific) positive story that you have experienced while living in Manitowoc County? A few years back we experienced a hail storm that came seemingly out of nowhere. The drainage grates on our street were completely blocked with hail, leaves, branches, and whatever else the wind and rain tossed into the mix. The water was pooling in the street and the neighborhood was at risk of having one common theme – flooded basements. Fortunately for everyone we have an incredible neighbor who was out in the street with his rubber boots and a pitch-fork making sure each and every grate was unclogged! He made sure all of the water was drained before it could do any damage. In summer he often does the edging work on the sidewalks for the entire neighborhood. He has a beautiful garden which he shares – both in the way of sharing the food he harvests as well as teaching both kids and adults in the neighborhood how to properly pick things like raspberries. He even makes his own honey and shares it with everyone! In winter he will snowblow driveways just to be kind. He is always outside working on his house, his garden, tending to his bees, and helping out anyone and everyone who needs it. He has done many wonderful things to make our life in Manitowoc just that much better. Question: What’s your favorite characteristic about Manitowoc County? Not to sound like a broken record, but hands down it’s the lakeshore! My husband and I are fortunate enough to live less than a mile from the lake so I get to gawk at it every day on my way to work. I am also fortunate to work in a building that is very near the lakeshore with windows that provide stunning panoramic views of Lake Michigan all day long. I love the fact that we have so many great small businesses on 8th street that are right near the lakeshore as well. What’s better than a morning coffee, some shopping, and a walk to the 8th street bridge to enjoy (and photograph) the view?! I also appreciate the “small town” feel in Manitowoc. I tried living in a big city for a while but it simply wasn’t the right fit. I love that I am only a mile from work which means I can bike or walk if I feel like it, that trips to major cities don’t require a “weekend away”, and that everything I need is quite literally less than 5 miles away at any giventime. 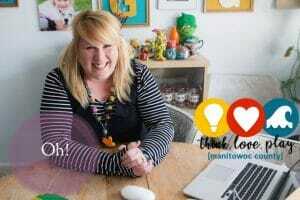 Meet Natalie Hamilton, mother, wife, nurse, photographer and small business owner of graced. 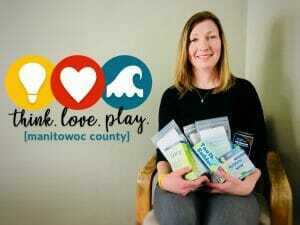 Learn why Natalie think’s, love’s and play’s in Manitowoc County! Hi everyone I’m Natalie Hamilton, owner of Graced in Manitowoc County. My husband and I John are US Navy veterans and transplants to the Manitowoc area. I am originally from the Milwaukee area and John grew up in Denver. We relocated to Manitowoc for John’s job at Aurora Medical Center, he is a Nurse Anesthetist. 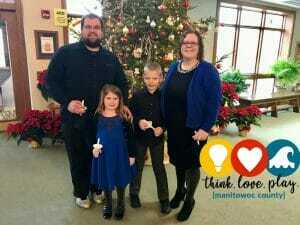 We reside in Manitowoc and have lived here for 3 years (a perfect place to grow and raise our family). We have four children, Tyler, James, Norma Jean and Anna and a golden retriever, Henry! When not working, I like to slip away and ride with my daughters at Forward Horse Farm in Manitowoc; I like to think it keeps me sane at busy times! Pictured is my horse and I, Slammer. We love Manitowoc County because it has allowed us to grow as a family and personally as a small business owner! Knowing my customers by first name basis, having acres of farmland to ride on, feeling safe and have the many amenities of a small town atmosphere; we love calling Manitowoc our HOME! …and here we are, graced opened June of 2016. With tremendous support and thanks to social media and the awesome Manitowoc community spreading the word, we have had visitors to graced from Green Bay, Appleton and even as far as Madison and Milwaukee! Manitowoc County easily becomes home to both those just passing through and those looking to relocate permanently. Quiet, safe and clean towns and villages, lots of things to do, friendly people and abundant natural resources are what set Manitowoc apart from other places. And LAKE MICHIGAN! It’s beautiful shoreline with super clean beaches, boating, fishing and just a spectacular ambiance all year long make Manitowoc County’s towns and villages great places to visit or to live. We love telling our resort guests about the resources available to them during their stay that are just a short drive away. Question: Please share a (specific) positive story that your business has experienced in Manitowoc County? 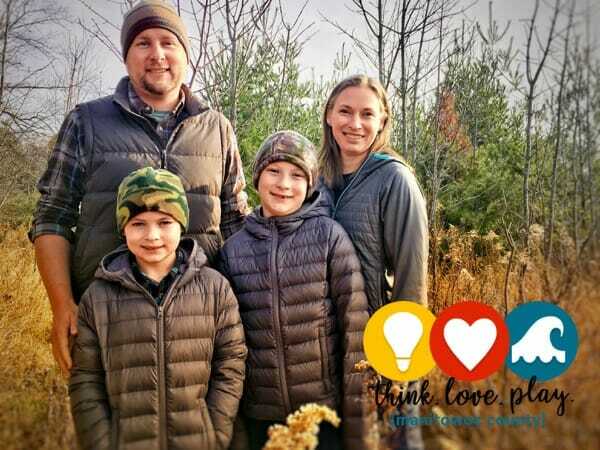 When we worked with Angel Mueller on Epi-Pen training here at the resort, we realized not just how caring our community is, but also how driven our community members are to be innovators and great makers of change. Angel’s son, Dillon, died from anaphylaxis as a result of a bee sting. Despite their grief, Angel and her family made the decision to educate everyone they could on the use of life-saving Epi-Pens. We held both community and staff training sessions here at the resort, and now have Epi-Pens available for our trained staff to assist in emergencies. 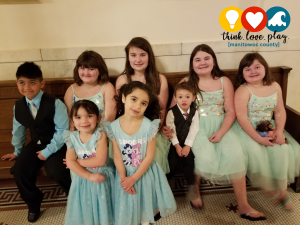 Angel and her family have taken her crusade to the State of Wisconsin, and Dillon’s Law, which allows trained individuals to carry and administer Epi-Pens to those in the crucial time of need when exposure to an allergen happens, is now a reality! Something that’s great about Manitowoc County is the abundant natural resources. Here in Mishicot, you can get on the Ice Age Trail for a hike, or on the East Twin River with a canoe, and we are so close to Point Beach State Forest and of course, Lake Michigan and hundreds of little lakes too. Manitowoc County is lush with trees and wildlife, with lots of parks too – really an outdoor enthusiasts dream! With so many agriculturally based businesses – from dairy farms to alpaca farms, wineries and cheese shops, lily farms and nurseries – taking care of our land and resources, takes care of our businesses too. Like so many towns around the country, Manitowoc has weathered its share of changes and challenges. Unlike so many towns around the country, it remains a great place to live, work and visit. Meet Matthew Schliesman, Executive Director, Capitol Civic Centre! From living in Los Angeles for 25 years to stumbling upon Manitowoc County, now calling it home for 7 years! Learn why Matthew Thinks. Loves. 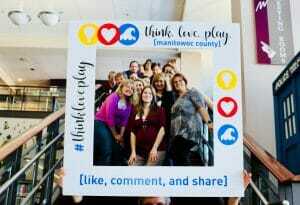 Plays in Manitowoc County! Question: Why do you love Manitowoc County? After finishing college at UW Whitewater I lived in California for 25 years, but never lost my fondness for Wisconsin where family roots run deep. In 2010, I decided that it was time to leave Los Angeles; it was time to come home. Looking for opportunities around the state I stumbled upon a position in Manitowoc. I did not know Manitowoc, so I did my homework. Having spent my career in the fields of performing arts and entertainment, I was impressed with the depth and breadth of talent here on the Lakeshore, the amount of passion for the arts, and the stunning venue the people of the Lakeshore had preserved—the Capitol Civic Centre. This is a fine town full of good people. Manitowoc has had a rough time with the loss of much traditional industry over recent decades, but the promise and potential of this community and its people remain strong; I think our future is bright. I’m particularly moved by two aspects of living here. The first encompasses the opportunities for us to make this downtown something vibrant, charming, and special for residents and visitors alike. The second has to do with the easy access to miles and miles of bucolic country roads and vistas, which I enjoy on frequent drives away from the hustle and bustle of town. It was 30 years ago – 1987 – that the old Capitol Theatre, which was built in 1921, was given a new lease on life. The restored Capitol Civic Centre, the “Jewel of the Lakeshore,” opened in October, 1987. The subsequent years have seldom been easy for this organization, but they have always been rewarding. Saving and then operating this venue as a nonprofit organization speaks volumes regarding the heart of this community. Nonprofit organizations must have ongoing support to exist and meet the changing needs of the people they serve. That this community rose to the occasion to save the Capitol 30 years ago, and that the Capitol continues to meaningfully serve the Lakeshore, are just two examples of why this community can be proud. The contrasts of my life in LA, where it can often take 60 minutes to go 10 miles in traffic, and here are many and dramatic. Besides the tremendous difference in the simple cost of living between there and here, here I live just over a block from work. My home has a beautiful view of the USS Cobia, the river, Lake Michigan, and more. Also, here I get to know and work with so many people who care about this community, folks working to make our community and world better. Winter aside (I confess that I don’t do well with winter), leaving LA and coming to Manitowoc was a good move for me. Meet the Company HUI! Based in the Kiel area, as a business they enjoy that this area is a great place to learn different trades. There are many opportunities around here to start at an entry-level position with a good salary and work your way up. Learn more why HUI think’s Manitowoc County is great place to live and work in! Question: Why does HUI love Manitowoc County? As a business, we enjoy that this area is a great place to learn different trades. There are many opportunities around here to start at an entry-level position with a good salary and work your way up. We also enjoy working with Lake Shore Technical College students. It’s a great employment base for us, and because we are located so close to the school we are able to offer flexible schedules to the students so they can work for us while they attend school. Personally, we enjoy the location of Manitowoc County. You get to enjoy the safe, quaint community while only being an hour away from any large venue or event available in larger nearby cities. We also love the beautiful landscape in this area. There many outdoor activities to enjoy like the lakeshore beaches, inland lakes, parks, camping locations, public hunting land, and hiking trails. Question: Please share a specific positive story that your business has experienced in Manitowoc County? In the past, we were a satellite location for Lakeshore Technical College. We enjoyed collaborating with the college to offer a class at the company for HUI employees and other people from the area. We have also appreciate this area’s excitement for Junior Achievement and robotics programs. Our employees love working with young students to help encourage their interests. Our favorite characteristic about Manitowoc County is the atmosphere that comes with living here. You get to be a part of a smaller community, so you end up getting to know a lot of people. There is also a variety of great school system options, good employment opportunities for workers and employees, and a mix of affordable real estate options as well. It’s a great place to live and work! Meet Lucy-Ann! From feeling safe and able to grow as a young professional in Manitowoc County, the opportunities are endless….Learn why Lucy-Ann Think.Love.Play’s in Manitowoc County! I love Manitowoc because everything is within ten to fifteen minutes’ drive for me. Compared to Maryland where my family lives, Manitowoc has minimal to no traffic. I appreciate this community because, even though the population is predominantly Caucasian, I feel safe as an African American woman. I was very surprised and impressed when I heard about the Voces de la Frontera and the Manitowoc Human Rights Coalition groups. These two groups collaborate to coordinate Stand Up To Racism events. Taking into account the demographics of Manitowoc, I assumed that people in such a small community are not considering the effects of racism towards its minority population. My two favorite characteristics about Manitowoc are feeling safe and the lakeshore… I love the life I am building for myself as a young professional in Manitowoc. The size of the community makes it easy for me to get involved. 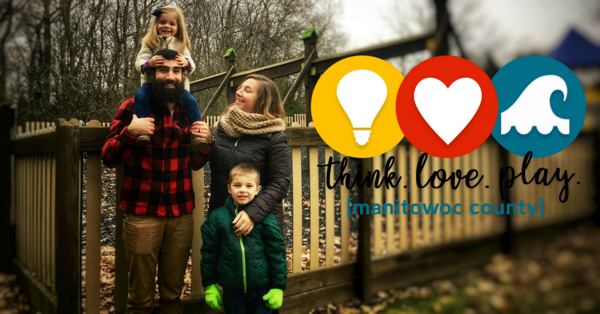 Question: Why does your family love Manitowoc County? We love that almost every weekend, there is something going on here in Manitowoc County, from festivals to farmer’s markets. We love that if Manitowoc doesn’t have what you need, Green Bay, Sheboygan and Appleton are only 45 minutes away. We love the Point Beach State Park and the hiking and running trails it has. We love the many playgrounds and parks, especially Schuette Park. We love the fact that we feel safe letting our kids play in the front yard, safe to go for nighttime runs throughout the city, and safe to travel anywhere in the city. We also love some of the awesome stores in downtown Manitowoc, including Graced, Manitowoc Coffee Company, and Wrap It Up. This year our daughter turned 3 and we decided to just do an informal party with a backyard cookout. We invited all our neighbors, friends and family thinking that most would not show up since it was simply just an informal get-together. We ended up having over 35 people show up and celebrate this little girl’s third birthday! She felt so special and we felt so grateful to have so many awesome, supportive people in our lives. The best part of living in Manitowoc is definitely the people. They are supportive, giving, kind, and caring. Another example of this is with Natalie from Graced. A few years back, I decided that I wanted to take my woodworking hobby and move it towards a “tiny” business. I reached out to Natalie to see if she would be willing to take some of my builds and sell them on consignment in her store. She was definitely willing to support me by featuring and selling some furniture, but she took it another step and hired me to build a shelving display. I have since built numerous displays, cutting boards, and more for Graced. That work has led to many other connections and business for my Northern Roots Woodworking “tiny” business. Her willingness to support a fellow entrepreneur and local small business literally turned my hobby into a profitable (if I ever stop buying more tools) business! We have made so many lifelong friends here and are so grateful to live in Manitowoc County. Our favorite part of Manitowoc is the outdoor activities that are available to us. As a trail runner, having some awesome trails within 10 minutes of your front door is something many people don’t have, and I have 3 great options in Schuette Park, Woodland Dunes and Point Beach State Park! My family was hiking in Point Beach when my son, Tucker, lost his first tooth. Now every time he has a loose tooth, we have to back for a hike because that is the “only place that works for getting his tooth out.” We also love the lakeshore beaches and trails for walking, biking, running, and even some swimming. We spend a lot of time outside. Wisconsin summers cannot be beat and the Manitowoc County has a ton to offer! 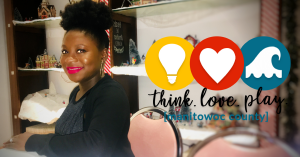 Meet the Moore’s and small business owner and manager of The Medicine Shoppe in Two Rivers and why they #ThinkLovePlay in Manitowoc County! 1. Why does your family, business or you love Manitowoc County? We love living here because it has everything we need. We love being outdoors and there are a variety of ways in Manitowoc County to get out and enjoy nature. We love hiking at Woodland Dunes and the it’s hard to beat the beaches in summer in Two Rivers and at Point Beach State Park. We can go hunting in the backyard and don’t have to go far to find good fishing. We feel safe here and feel that it’s been a great place to raise our two boys. We’ve been very pleased with the schools in the area and have enjoyed the programming at Lester Public Library. We’ve found some great places to eat and shop. And since we’re within driving distance of the “big city” life of Green Bay, Milwaukee and even Chicago, those experiences are not hard to obtain yet we can still easily get back home to our preferred non-city living. 2. Please share a (specific) positive story that you have experienced while living in Manitowoc County? Perhaps the best part of living here are the people themselves. Several years ago we bought a house in Two Rivers. The first day that our new house was open to us, my wife went to work and I started moving a few little things from the duplex we had rented. Somehow in the chaos of the move, I managed to lock my car keys and my phone in my car. We didn’t have a phone in the new house yet so I found myself in a neighborhood I’ve never been in, standing outside my new house feeling fairly hopeless. I decided my only option was to find a neighbor who had never met me, explain the situation, and hope for the best. I noticed a car in the garage at a house across the street so I figured this was as good a place as any to start. I rang the doorbell and likely said a little prayer. When the woman opened the door, I nervously introduced myself and shared my predicament. She immediately handed me a phone so I could call my wife. But to my surprise she then handed me a recent newspaper clipping. It was an article that featured The Medicine Shoppe (my employer) and highlighted what the other pharmacists and I were doing to improve patient care. She had heard we were moving in across the street and thought we might like an extra copy of the article! Needless to say, my wife and I felt pretty comfortable in our new neighborhood after that. Our favorite characteristic of Manitowoc County is that it’s the perfect combination of nature and community. It has the “up north” appeal of pine trees and outdoor recreation without the headache of the nearest amenities being an hour away. It’s small town living, but with local shopping, dining, and educational opportunities that don’t make us feel we’re missing out on the big city experience. And it’s the ability to enjoy recreational activities in a setting that’s peaceful and devoid of the metropolitan “clutter” of other areas.